Why I love KISSlicer reason #8 can be stated with two simple words; fractional loops. 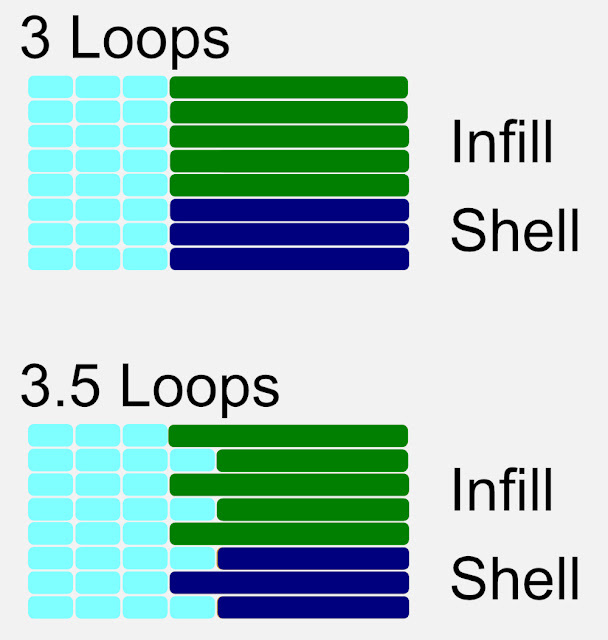 You can read my blog post KISSlicer 1.6: Fractional Loops - Lunacy or Brilliance? to get the details on what they are and how to use them. They are brilliant. Fractional loops help you print stronger/more rigid parts without paying a significant time penalty. They just work. So well, in fact, that I rarely don't use fractional loops. Just to refresh your memory, here is an example of a part without fractional loops (top) and with fractional loops. Note how the alternating loops lock both sides of the infill. This is what increases part strength and rigidity. No Comment to " Why I love KISSlicer: Reason #8 "